We are working on a new garden entrance. Ooooh!! I love the first photograph, beautiful! This is exactly the look I love...can't wait to see what you come up with. 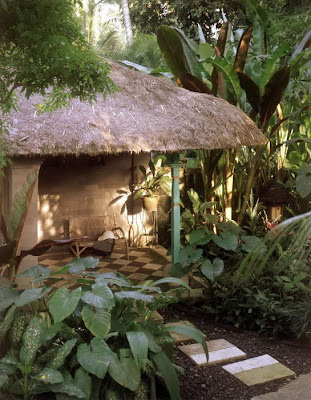 I saw a smaller older (for this area) home today and absolutely loved the thick, lush tropical landscaping surround the walk way to the front door. I think I'll blog about it and post a link to here. I love the idea of an iron-gate. The one on the first pic is genius, i only noticed the geckos later on lol. and since lizards seem to love your garden! !Impatient to see the end-result, which am sure will be breath-taking! Thanks guys! I love that first one....and the last too. Sharon, I discovered the geckos later too....thought it was just a great, swirly design at first. Reminds me of an optical illusion! The doors cast magical light on the garden! Love it. Okay now that Ive picked my jaw up off the floor....sigh. Number 1 is a first place ribbon winner. Although all of them look like paradise to me. I cant wait to see your new garden entrance. Im also very envious that its nice enough to work in your garden in November. Oh heavenly Linda!! I can't wait to see what your hands and mother nature create! 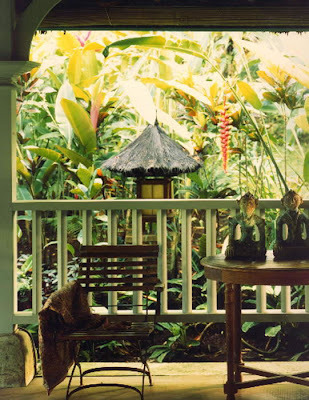 I'm so in love with the luscious look as it echo’s the tropics seamlessly. You have such great inspiration pics and I can't wait to see your spin on this. 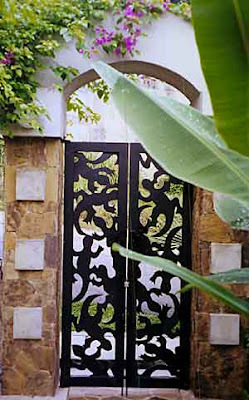 LOVE the garden gate... you live in PARADISE! GORGEOUS!!!! I hope I can have a cool garden entrance someday. My list of desires for my next home is long! 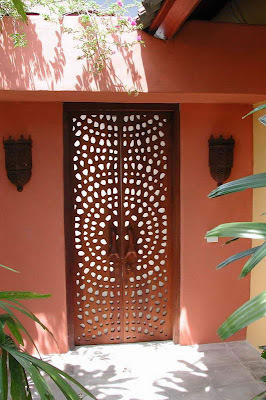 I love that gecko gate! Whatever you decide, Linda...it will be fabulous! All the photos are wonderful, but my favorite is the first. Oh, I'm so waiting to see the end result...so many GREAT choices! Are we never done with our humble abodes?